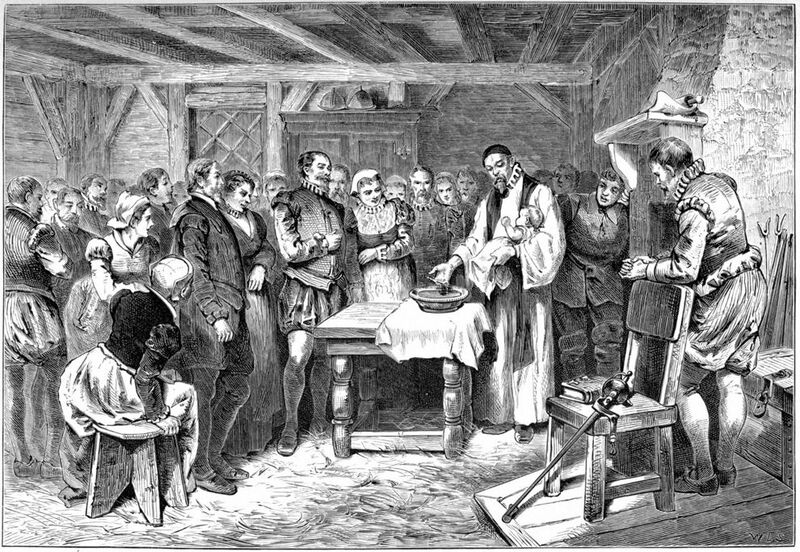 On August 18, 1587, the first English child born in the Americas, Virginia Dare, was born on Roanoke Island, in what is today North Carolina. Virginia Dare, being baptized in this image, was the first English child born in the "New World" of the Americas. Less than three years later, Virginia and the rest of the settlement on Roanoke Island (on the Outer Banks of what is now North Carolina) disappeared without a trace. On August 18, 1587, Virginia Dare was born on Roanoke Island, part of the Outer Banks of what is today North Carolina. Virginia Dare was the first English child born in North America, and was part of the “Lost Colony” of Roanoke, whose complete disappearance is still a mystery. Roanoke Island was one of the first attempted English settlements in the “New World” of the Americas. (Jamestown, Virginia, established years after Roanoke, would succeed in being the first permanent English settlement.) Soon after Virginia Dare’s birth, a group led by her grandfather, Roanoke Colony Governor John White, left the colony to collect supplies in England. White and the supply ship returned three years later, on Virginia’s birthday (August 18, 1590). He found the settlement gone entirely. There was no evidence of a violent raid or abduction by Native Americans, and no evidence of where or when the settlers moved. The only clue was the word “Croatan” carved into a tree trunk. Archaeologists and anthropologists still debate what happened to the more than 100 settlers of the “Lost Colony.” Many think that they joined one of the local Iroquois communities. In North Carolina and throughout the United States, Virginia Dare has become a symbol of youthful hope and innocence—as well as, sometimes, a racist symbol of the European conquest of the Americas. to kidnap or illegally take a person away. to try or make an effort. procession of performers and entertainers. amount of a product that is available to consumers.